The Waubonsie Valley Prism Concert made its debut in 1992. Music educators Charles Staley, John DeGroot, Steve Hancock, Scotty Jones and Dave Calvert are credited for creating this beloved Waubonsie Valley tradition. Through the generous support of the Indian Prairie Educational Foundation, District 204 Administration, WVHS Music Parent Associations, and the Waubonsie community, our students continue on the path of musical excellence that started so many years ago! Every year the department chooses a variety of repertoire that incorporates teachable moments for our students, celebrates the season, and has high programmatic value. The Prism experience is seamless, moving immediately from one group to the next and utilizing every part of our auditorium. Prism has a wonderful tradition of donation chimneys where audience members can drop a donation on their way out of a performance to support our WVHS Music Scholarship Fund. 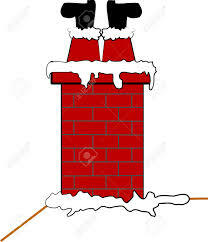 Please feel free to click on the "virtual chimney" below to make a credit card donation.